How can something as insignificant as a line have such a huge impact on people and how they live? How can a small patch of grass figure so importantly in the everyday lives of individuals? How can an apparently ‘empty’ space be so full of meaning? 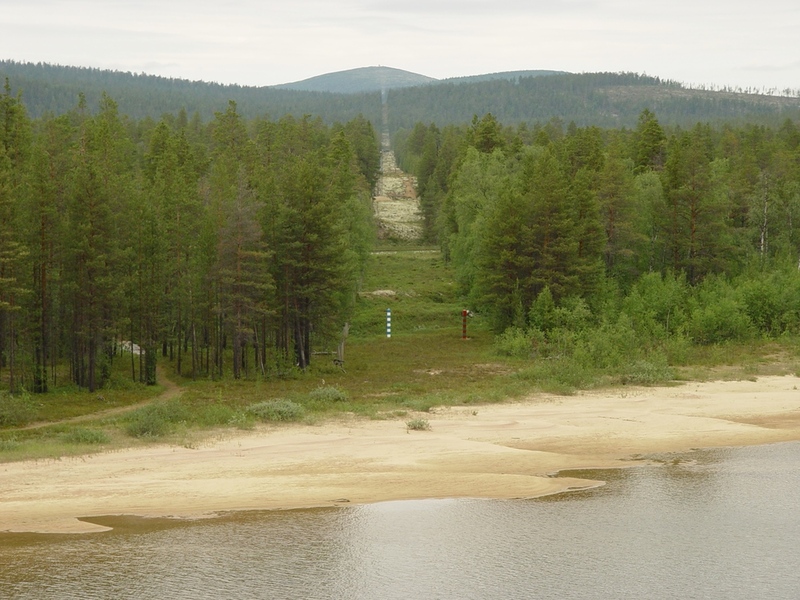 Borderlands (Rajamailla) is a three channel video installation which takes the Finnish-Russian border as its central theme. The film focuses on the lives of people living on both sides of the border, using fact, fiction and fantasy to investigate how the presence of the border affects their lives. 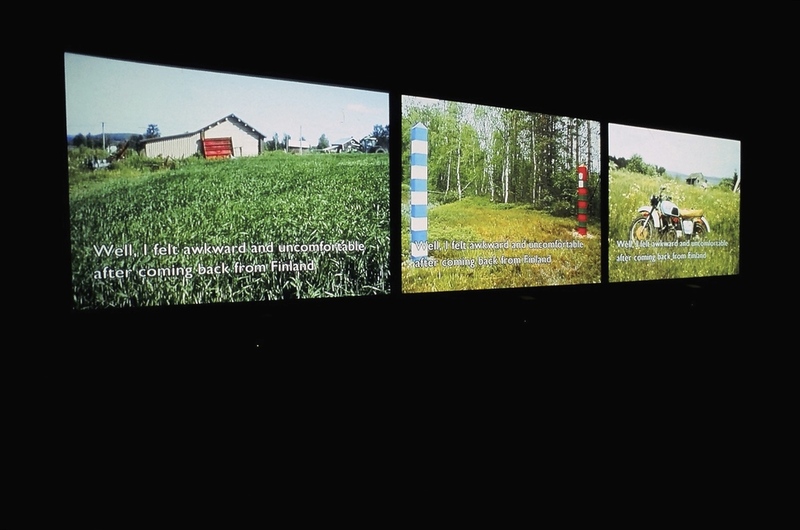 The film is presented on three-screens – the left screen shows scenes from Finland, the right screen shows scenes from Russia, while the central screen shows scenes from the actual border cut between the two countries. The images from Finland and Russia have been photographed in villages and areas which lie very close to the border. The scenes are mainly static shots (i.e., no pans or zooms etc) with the only movement being in the scene itself. The pace of the film is quite slow, allowing time for the spectator to reflect on the dialogue’s significance regarding each of the three screens. The images are comprised mainly of landscapes and town/cityscapes. They emphasise the similarities which exist on either side of the border. The film’s audio narrative is comprised of two elements: From the Russian and Finnish screens we hear extracts from interviews with people living on either side of the border – their stories and thoughts about living near the border and how it has affected their lives. From the central screen (the border) we hear extracts from a 1950’s Finnish children’s story which draws heavily on the Cold War relations between the West and the East. This central, fantasy narrative creates a bridge between the various subjects discussed in the interview excerpts, and highlights other underlying themes relevant to the subject of the border. This approach – the combination and contradiction of ‘fact’, fiction and fantasy – is particularly relevant when dealing with the subject of the border. Borders are fictional spaces upon (and beyond) which different meanings are projected depending on which side of the fence you happen to reside. There are few ‘facts’ involved in the story of the border, but many different interpretations. The story cannot be told by one voice. It is for one person one thing, and something else entirely for another person. It is a land of fantasy. Borderlands are places which show that power and ideology reside in seemingly empty spaces. The landscapes shown in Borderlands are frequently empty, silent, and yet they are somehow full of meaning. The significance and power which exists in these border spaces is revealed, discussed, and occasionally mocked in the stories told by the interviewees. The border itself becomes the central ‘character’ of the film. 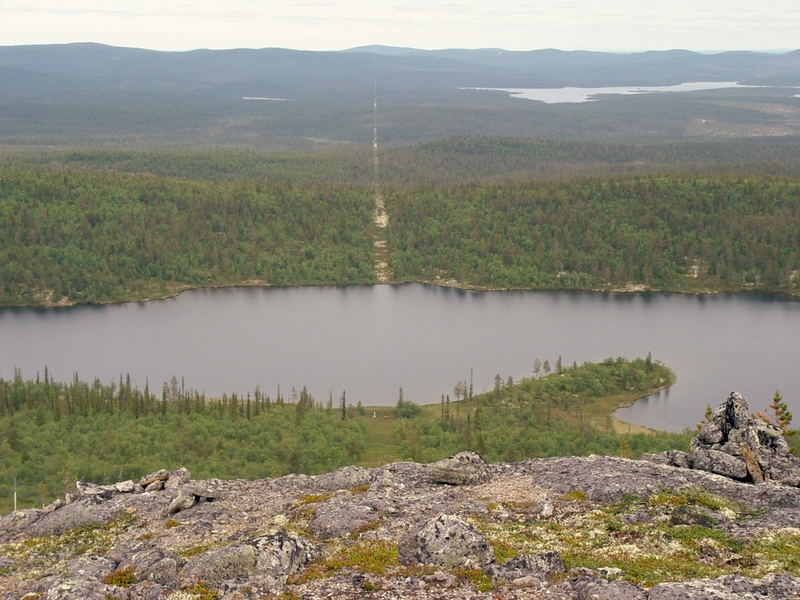 The Finnish-Russian border in particular exists on many levels. It is not only the physical space which divides two countries – it also marks the boundary of the EU, and represents one of the greatest socio-economic divides in the world. Whereas the borders within the EU are becoming less significant, the Finnish-Russian border remains a strong barrier. In the time of the Soviet Union the border was between East and West; it kept the secrets of the Soviet Union locked away, and as such one could say that the ‘strength’ of the border lay on the Russian side. Following the collapse of the U.S.S.R., the emphasis on strict border control switched to the Finnish side – not only for the sake of Finland, but because Finland as an EU member country must guard this border on behalf of the entire EU. Now, with the relaxing of relations between the two countries, it is time to examine the conditions which exist in the border regions. What influence does the border have on the lives of people in those regions today? How have the prejudices of the past affected the people of the present? What do Finnish people think of their Russian neighbours, and how do the Russian people view the Finns? What are the real reasons for the maintenance of the border? What fears are keeping this particular border so strongly defined? Has the iron curtain merely moved from the Russian side to the Finnish side? What would happen if the border were to disappear? In many ways, the border is like the path through the forest in fairy tales – a dangerous place where fear lurks in the imagination, and on the other side lies great mystery and adventure. But what happens when we get to that place on the other side? What do we find there? What is the forest/border guarding?